Monitor the progress and status of the deployment. In case of failure, simply apply Retry without redoing the setup. AirVantage provides widgets showing which firmware versions are currently deployed on your modules. 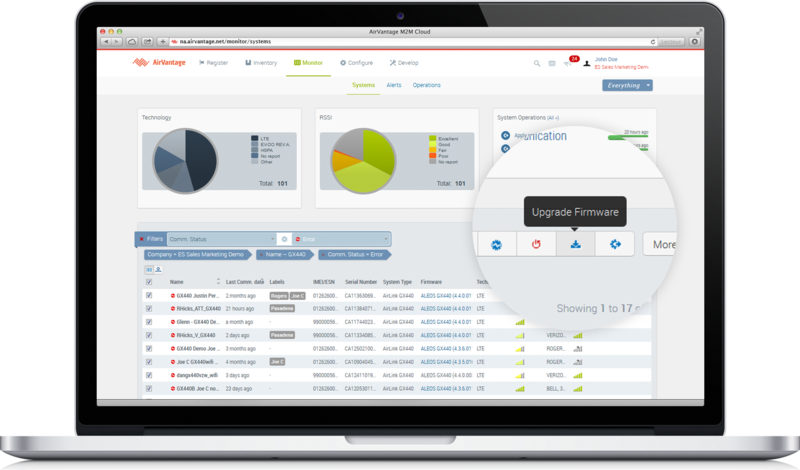 The Sierra Wireless team provides regularly updated firmware packages on AirVantage, so you can keep your fleet up to date with the latest features and security patches. 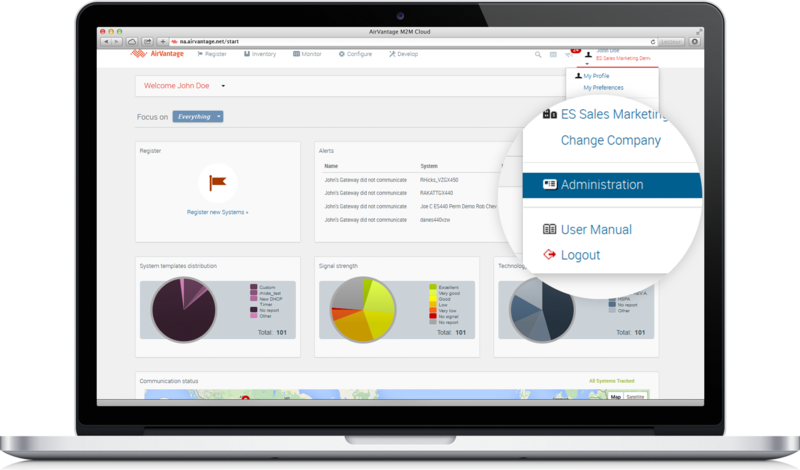 The Start Page Dashboard is user-configurable so you can decide which information about your systems fleet is most important, and how to display it. Customize the widgets displayed here, and how they are displayed. To highlight distribution of firmware within your fleet, or online status for example. The widgets are interactive, so for example by clicking on a pie chart segment you will be taken directly to a list of those devices. This pie chart widget is divided into an inner and an outer section. The inner part shows the distribution of device types in your fleet. The outer section shows the distribution of firmware revisions installed on those sytems. Mouseover a slice/section to show fuller details. Click on a slice/section to drill down to the filtered list of applicable systems. This powerful widget identifies systems in need of firmware upgrades, and lets you apply the latest reference build with a single click. 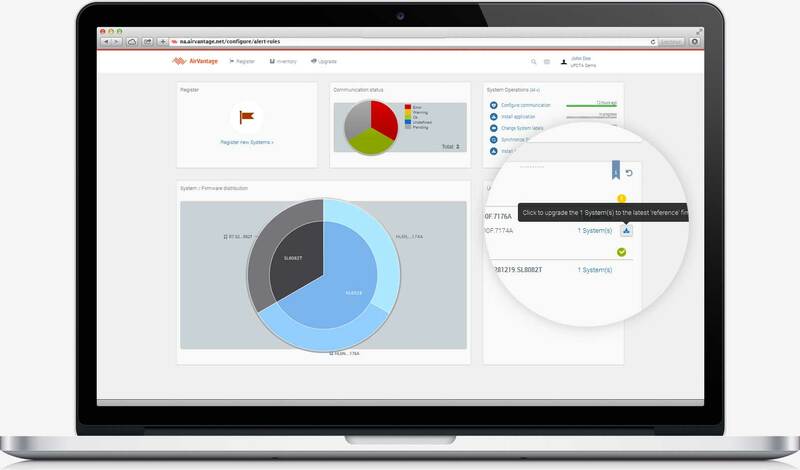 AirVantage provides a way for administrators to create new user accounts and define what they can see and do. 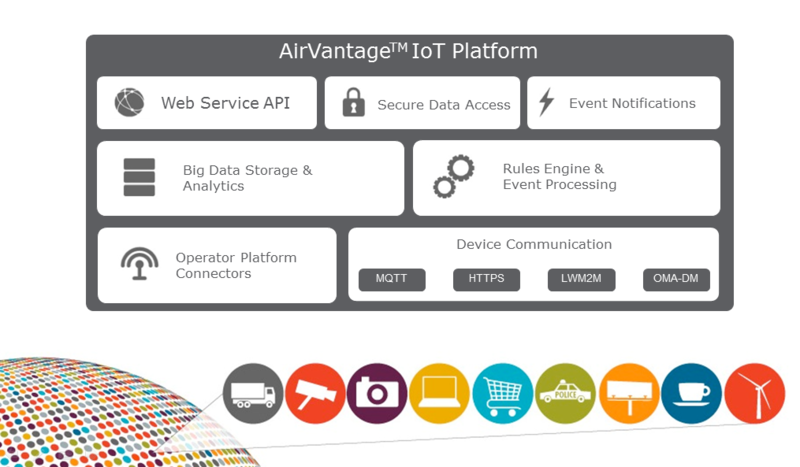 Unlimited FOTA Service is an application built on AirVantage. 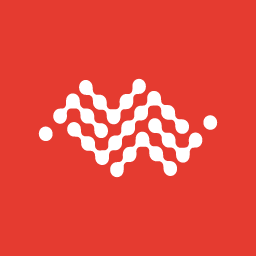 AirVantage is a powerful management platform for your devices, with the potential to innovate your business processes, service applications, and revenue streams. Check the AirVantage section for details.